Sambella Coffee offer’s training and support packages to suit your individual needs and requirements. 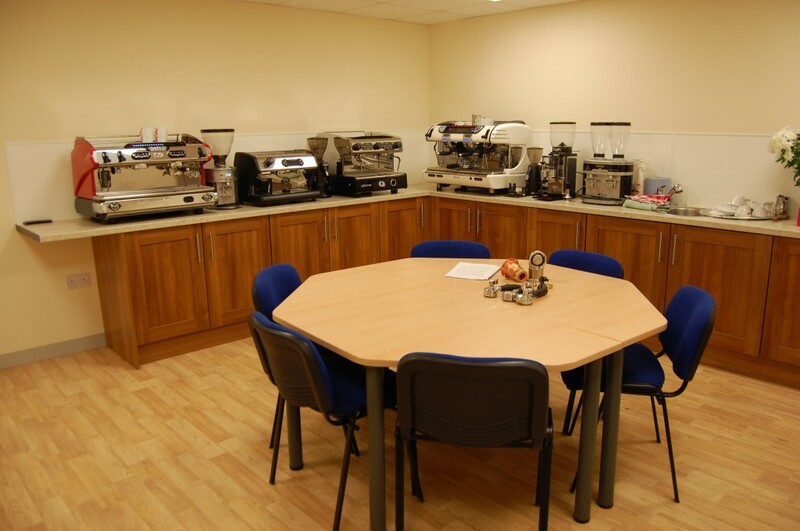 We offer a fully equipped training facility based in chesterfield where we can provide practical and in-depth training using commercial coffee equipment. Our training packages cater for all skill levels and cover the best practices for coffee machine operation, helping you understand your coffee in a hands on environment that is fun. Each training session can be tailor made giving you the opportunity to try new drinks and products that will enhance and add variety to your current delicious menu. We are able to cater for large or small groups, all training packages and costs can be discussed with one of our experienced team members. We are also able to offer onsite training at your premises, whether it is a quick refresher course or a menu refresh. We can experiment with new drinks and see what fits in with your business so you can be assured you are captivating all your customer’s demands and needs.